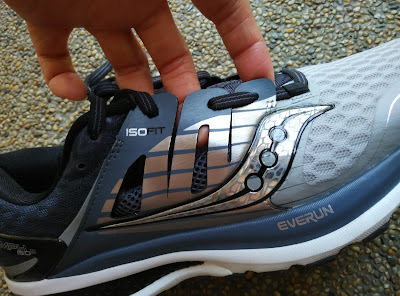 A little under a year ago, I was fortunate enough to receive an opportunity to test and review on the Saucony Triumph ISO, it has a lot of cushioning and works very well for long training run and for recovery run. 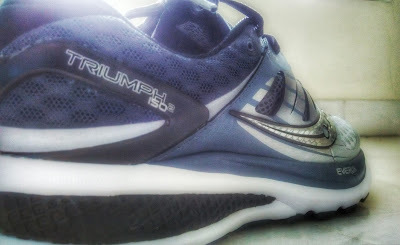 The shoes was quite a hit in a few markets, love it and it is still with me. With the Saucony Triumph ISO2 due to be launched in Malaysia soon, let's take a look whether the successor is living up to the expectation. ISO2 stays with 8mm drop with a stack height of 31mm (Heel), 23mm (Forefoot) weighing 10.2 oz for a US size 9, very decent weight considering the amount of cushioning that the shoes gave. 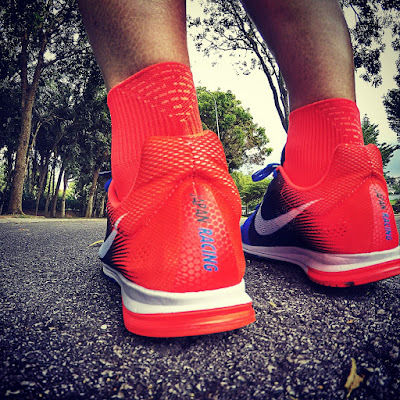 Similar to ISO1 the heel collar is overly cushioned and the sock-like ISOFIT technology is about all that was carried over from the first version. 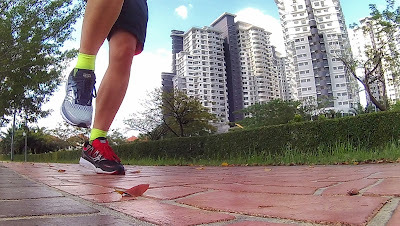 The upper mesh used on the forefoot area sees a welcome tweak which is now more breathable, no hot spot even running in the heat and as evidenced you can tell what color of socks you are wearing LOL (pic below). 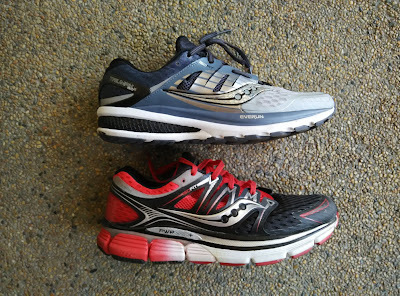 Yes, Saucony has answered my call to reduce the upper mesh cushion/padding resulting from the tweak, the forefoot area feels a little roomier compare to the predecessor. The plastic overlay on the ISO2 is now housing only 3 eyelet instead of the 4 from the ISO1. 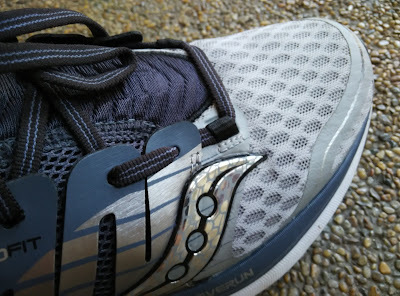 Gone are the 1st eyelet overlay stitching which in my opinion was limiting the forefoot width and feels tight at the forefoot. 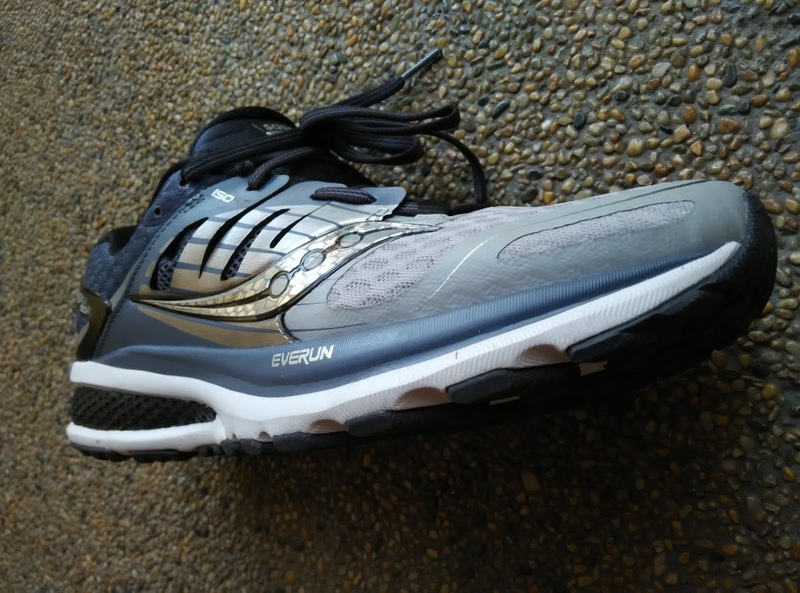 With the stitching taken out, it is no longer limiting the mesh material from expanding and a little more compliant to wide forefoot runners. 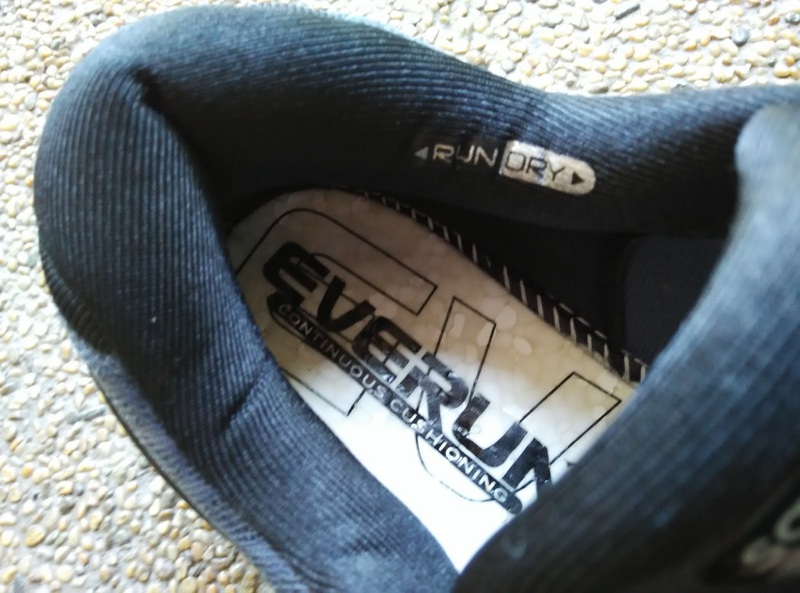 EVERUN layer is sandwiched between the sock-liner and the midsole, surprisingly instead of making the ride mushy with the amount of cushion, the overall ride actually feels firmer and more responsive to run in. 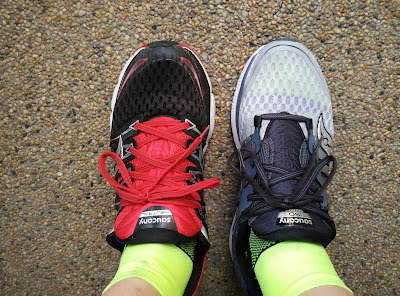 I have ran more than 70 km in it confirming the ride and actually wore the ISO1 and ISO2 on each of my feet to confirm the feel. 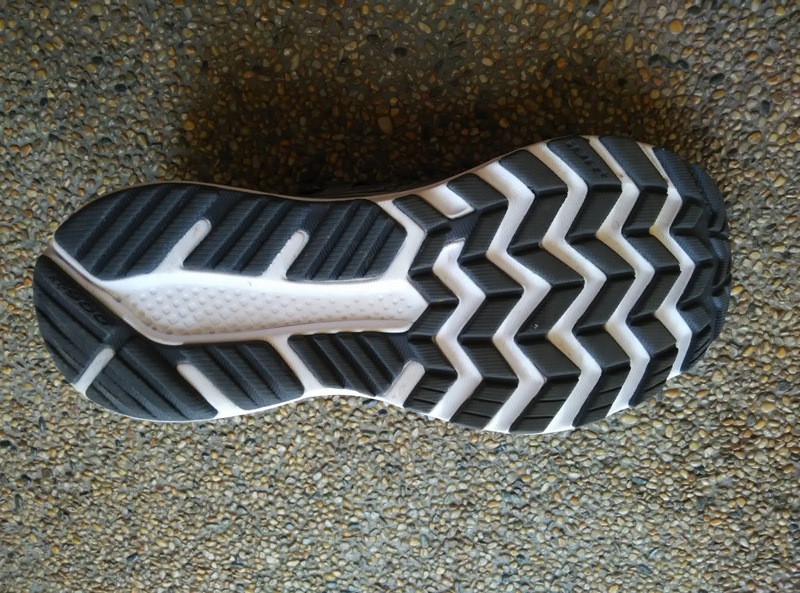 The outsole sees a complete revamp in the layout, it is now more simple and straight forward weaving pattern from side to side. 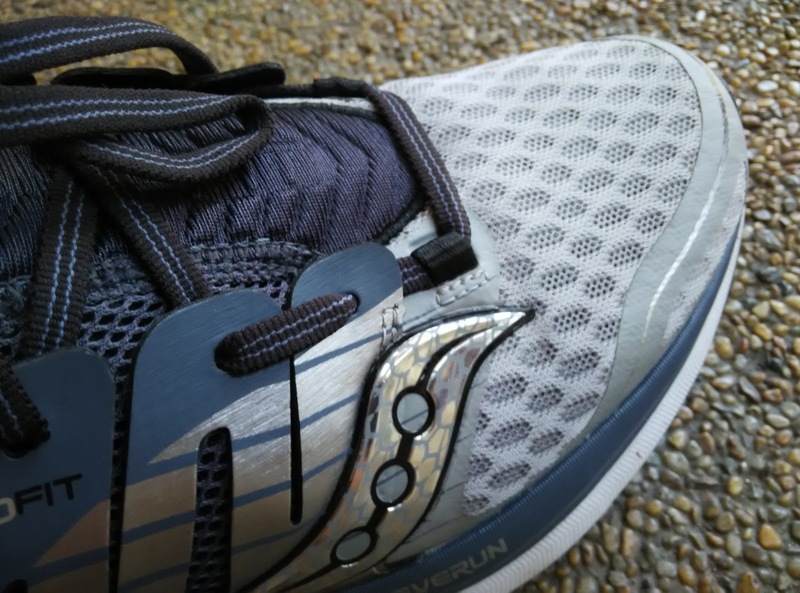 Saucony continue to use xt900 carbon rubber on the heel area for durability while iBR+ is used for the forefoot area for further cushioning. 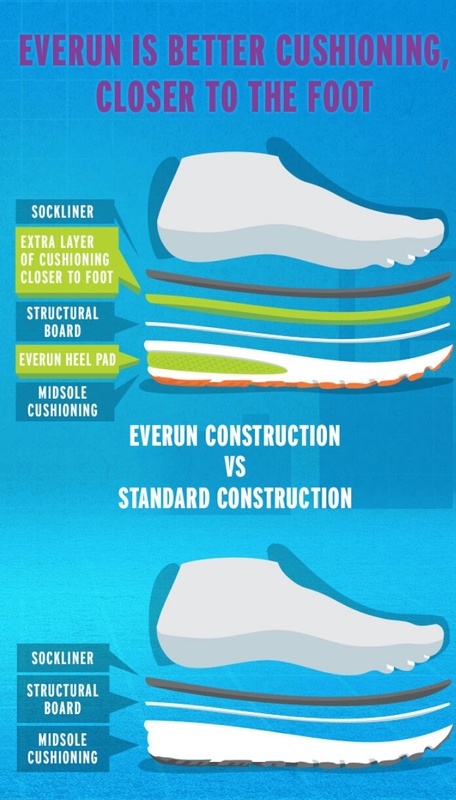 With the firmer and a more responsive ride, putting in the pace into sub 5 mins pace is now easier with EVERUN returning energy as compare to the ISO1 which absorbs too much energy from the thick cushioning which is a big deal !!! Saying that, still the Triumph ISO2 is not a racing flat, one should not expect this flats to give you a cushion ride and at the same time delivering the speed that you expect out from the likes of its racing siblings. Wrapping up my review with some thoughts here. 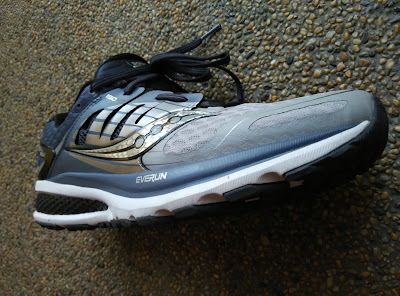 Although with the new mesh upper and the stitching gone on the first eyelet, it still feels a slightly tight compare to the other shoes that I ran in. 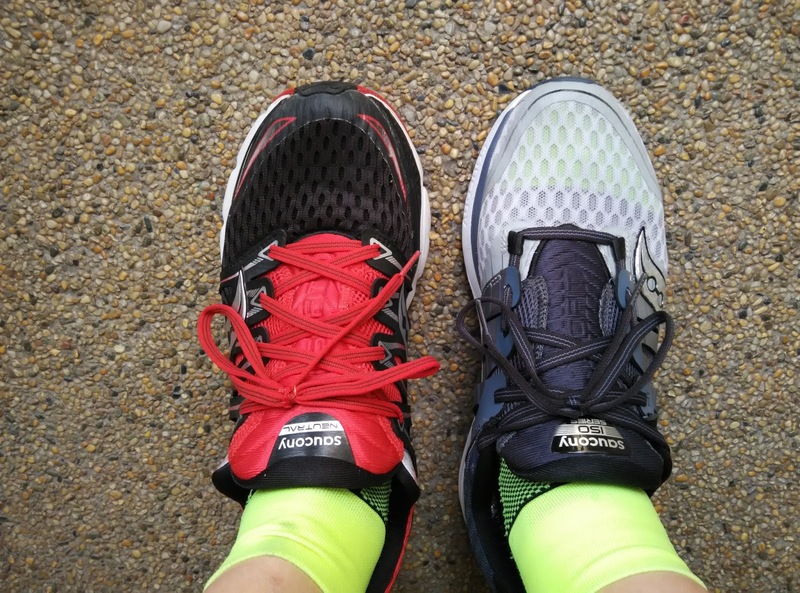 This is not a big issue, you just need to try it on yourself and go for the up size option if necessary. It continues to be a good partner for long training run and recovery run, though you could run in a race but it is not the best option from the Saucony range. 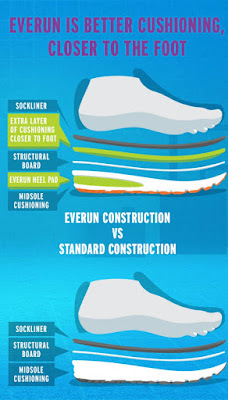 Love the EVERUN... now where's the Kinvara 7 and Peregrine 6? Looks a helluva lot sleeker this time round! Btw, I'm still waiting for Kyoto Race report!